Nessus is a cross-platform, comprehensive systems vulnerability scanner, which provides a wide range of penetration techniques starting with a simple host ping scan and finishing with dangerous Denial of Service attack. Home licence is available for personal use in a home environment only, that’s all we need. Make sure that the email provided during the registration is valid as it will be used to send a Tenable Nessus Home Activation Code. We use a 32-bit Debian Wheezy machine, therefore will go for Nessus-5.2.5-debian6_i386.deb (Debian 6.0, 32 bits). Make sure the TCP 8834 port is open on a firewall if intended to access form another PC. Follow the on-screen instructions: create a new user account, enter the activation code and download plugins (this is CPU and disk intensive task and takes a lot of time). Once the plugins are downloaded and processed, subsequent startups will be much faster. Happy home systems scanning! This entry was posted in Security and tagged Debian, LPIC-3, Nessus. Bookmark the permalink. If you notice any errors, please contact us. 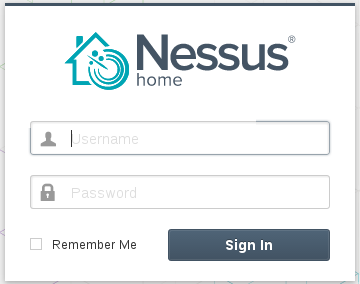 Do you know if Nessus as an ARM version for raspberry pi? No idea to be honest, I never thought about installing Nessus on a Raspberry Pi due to lack of RAM it comes with. You may want to try OpenVAS.